On June 30th the South Asia Center, Atlantic Council hosted regional experts Walter Andersen, Vanda Felbab-Brown, and Kamran Shafi, to discuss the issues surrounding the drawdown of U.S. and Allied forces from Afghanistan. Shuja Nawaz, Director of the South Asia Center, moderated the discussion. Walter Andersen explored the Indian perspective on the issue, focusing on the significance of an Indian presence in Afghanistan and how it affects Pakistan’s calculations. Vanda Felbab-Brown examined the role of Afghanistan Taliban and the likelihood that they would try to fill the political and security void that might be left behind by the troop withdrawal. Kamran Shafi explained the need for Pakistan to rethink its role in Afghanistan, and ramp up its efforts against militant groups at home. There was a consensus about the bleakness of the future, and the need to give the regional partners a more constructive role in the transition process. President Obama’s speech, delivered June 22nd, 2011, on the withdrawal of 10,000 U.S. soldiers from Afghanistan by the end of this year, and a total of 33,000 by next summer will have important implications for Afghanistan and South Asia. The drawdown of U.S. forces will trigger reactions from the region that may affect the success of the exit strategy from Afghanistan. But many questions remain about the efficacy of the U.S. strategy and the willingness and ability of the Afghan authorities, Pakistan, and India to help the upcoming transition in Afghanistan. On June 27th, the South Asia Center of the Atlantic Council hosted Sherhbano Taseer to discuss the growing threat of religious extremism in Pakistan. Ms.Taseer is the daughter of Salmaan Taseer, the late Governor of the Pakistani province of Punjab, who was assassinated in January 2011. Shuja Nawaz, South Asia Center director, moderated the discussion. Ms. Taseer spoke of her father’s campaign against the use of the blasphemy law to persecute religious minorities, and his outspoken stance against religious extremism. She expressed concern over the Government of Pakistan’s inability to take action against institutionalized intolerance in madrassahs, and highlighted the fear moderate Pakistanis live under. She stated that “clerics are not teaching children how to live, but how to die!” She also voiced concern that “the State has given hate mongers a platform through madrassahs”, and emphasized the need to put international and internal pressure on the government to take action against religious violence. For the second time in the life of the current government a parliamentary session has produced a unanimous “feel good” resolution, after what must have been serious prodding by the military. Private discussions again leaked badly to the media, making it difficult to ascertain what was really said, given that we cannot judge the motivations of the leakers. If the past is any guide, nothing substantive will result from this exercise as individual political parties go their own ways and there is no cohesive action by parliament or the government to follow up on the main points of the resolution. Adopted during a joint session of the parliament, the resolution condemned the May 2 American raid on Abbottabad to capture and kill Osama bin Laden. It also called for a review of Pakistan’s working agreement with the United States, demanded an independent investigation into the raid and ordered the immediate end of drone attacks in the country’s border region. A tall order, perhaps too tall for the current dispensation in Islamabad. If the leaked reports of the session are correct, Lieutenant General Ahmad Shuja Pasha, director general of Inter Services Intelligence (ISI), also stated that “at every difficult moment in our history, the US has let us down. This fear that we can’t live without the US is wrong.” Apparently no one contradicted him. Yet days later, during US Senator John Kerry’s visit to Pakistan, much was being made of closer cooperation with that country. Was there a change of heart or are there fissures inside the military high command after all? Parliament clearly needs to discuss these issues within itself before it decides on the best course of action. And it might benefit the country to be able to see and hear that debate live on radio and television, so the people of Pakistan can judge whether they are getting their money’s worth from their elected representatives. A well-considered debate and practical suggestions on how to translate the May 13 resolution into reality would go a long way towards assuring Pakistanis that their government and Parliament can make decisions without necessarily being prodded by the military. Serious questions remain about this so-called in camera session, which leaked like a sieve. First, was this a military briefing or an intelligence briefing? If the former, wouldn’t it have been better to have heard from the military chiefs? Intelligence briefings, if they are truly based on classified information, are best left to smaller committees so that their contents are not splashed on the front pages of newspapers even before a briefing is over. Unless, of course, the aim was to try to put an end to the public’s criticisms of the military with a stage-managed event. Does this mean that the promised investigations will now fade into the background and not be shared with the people of Pakistan? The terms of reference of those investigations are not available to the public, nor is there a timetable for completion of reports about them. Second, there is great truth to the adage that the best intelligence is policy neutral. With the influence of military rule in Pakistan, however, intelligence has become part and parcel of policymaking. I recall General Ehsanul Haq (the then ISI chief) telling me for my book on the Pakistan army that if he did not offer policy advice General (retd) Pervez Musharraf would not invite him to the table for future policy meetings. While this approach may be useful for military rulers, it hamstrings civilian rulers when intelligence officials provide policy guidance, as General Pasha appears to have done with his powerful riposte to the United States and opposition parliamentarians. This is a special constraint for weak civilian rulers who do not know how to respond to “advice” from military officials and who often do not do their own homework to come up with viable policy options. Politics, like nature, abhors a vacuum, so the military steps in to come up with policy solutions when civilians shy away from them, especially on matters as sensitive as US-Pakistan relations. Third, what will Parliament do in the wake of the May 2 raid? Both houses have defence committees. Surely they could follow up on the closed-door session with their own investigations and report to Parliament and the people of Pakistan. This is a great opportunity for Parliament and civilians to take charge of policy making rather than cede this ground to the military and then complain about it. Will they take it? That sound you are hearing is the deafening silence emanating from Islamabad. Finally, does Pakistan have a Plan B to deal with the emerging situation in Afghanistan and the likely freefall of its relationship with the United States? Already, despite the salve that Senator Kerry applied to Pakistan’s wounded pride after the bin Laden raid and that Secretary Hilary Clinton may apply during her visit to Islamabad, differences are erupting with the United States over alleged bogus billing for reimbursements from the Coalition Support Fund. Those military cash flows, totaling some 10 billion dollars since 2001, have become an entitlement for the Pakistan military, largely because there was never a commitment in writing about what was covered and what was not. 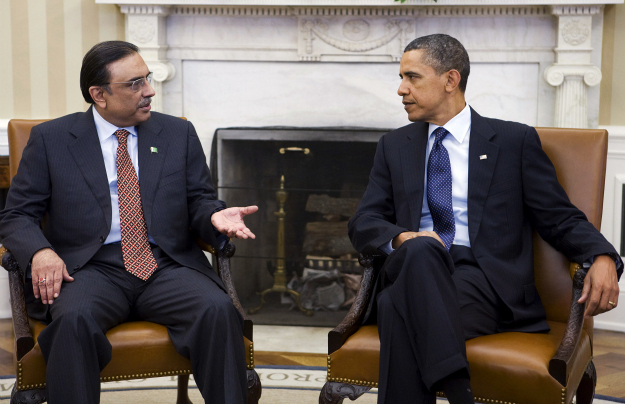 The United States fed Pakistan’s expectations of cash to support its troops in the field. But no targets were set, nor were benchmarks mutually agreed upon to measure the results of those deployments. Now that Congress is demanding results, the US administration demands receipts that Pakistan cannot provide. The trust deficit widens. General Pasha’s reported attempt to get things down in writing with the United States met with no success. Parliament and the military need to work on a plan to deal with the United States jointly, not separately. The government needs to own the plan so it can be shared with the people of Pakistan and must not retreat from it when challenged by internal or external forces. The mood in Washington is getting darker day by day. So is the mood in Rawalpindi. Is anyone in authority in Pakistan ready for the results of the clash of these competing interests? Or will Pakistan’s leadership hide behind empty rhetoric yet again? It is critical for Pakistan to have an overarching political strategy and for military strategy to reside in it, rather than the other way around. 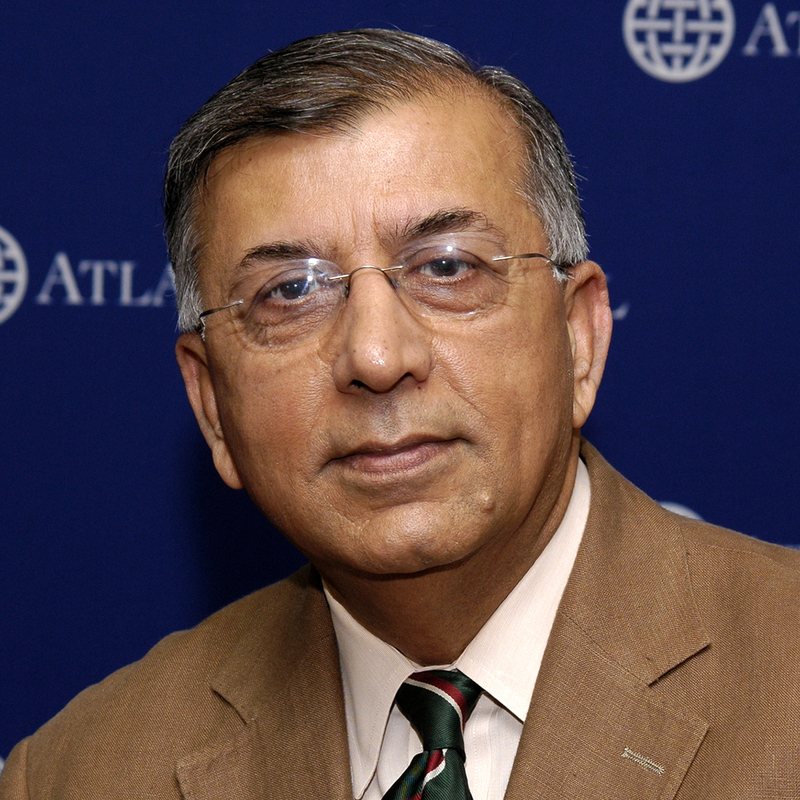 Shuja Nawaz is director of the South Asia Center at the Atlantic Council, and is the author of Crossed Swords: Pakistan, its Army, and the Wars Within. This column appeared in the June, 2011 issue of the Herald. Photo credit: Getty Images. In the latest issue of Foreign Affairs, South Asia Center director Shuja Nawaz’s piece “The Pakistan Dilemma” was listed as one of the ForeignAffairs.com Top Ten ranked online articles from Spring 2011. South Asia Center Director Shuja Nawaz spoke with Jackie Northam on NPR’s Morning Edition to discuss the sharp downturn in U.S.-Pakistan relations. With apologies to Shakespeare’s for appropriating his memorable line from A Winter’s Tale, I worry about the state of Pakistan expertise that is fading from the scene in key Washington policy making positions. It must be that time of the political season: the third year of a President’s first term, when exhaustion sets in and weary but smart specialists head off into civilian jobs before the big exodus that follows the end of the first term. But, at a time when the United States’ relations with Pakistan are being tested severely, who will fill these positions and fast, and how many of the new recruits will be able to hit the ground running? And who will establish the personal relationships in country, without which not much can be achieved in consultations with Pakistani counterparts? At the White House, economics expert David Lipton, who knows Pakistan extremely well and knows official and business partners in the country better than most U.S. interlocutors, reportedly is heading back to the International Monetary Fund. There, his Pakistan experience may come into play immediately this summer, as the economy in that country nose dives in the wake of parliamentary opposition to a budget that attempted to introduce reform by stealth, under a single budgetary resolution. National Security Council Senior Director John Tien has departed into civilian ranks. Director Shamila Chaudhary is heading to the think tank world and the private sector). After two years at the NSC, Eric Lebson is heading to Australia. That leaves Lt. Gen. (retired) Doug Lute, who stayed on beyond the Bush years, holding down the fort — but for how long? At the State Department, the old team the late Amb. Richard Holbrooke assembled has lost Vali Nasr and soon may lose Alex Evans, both of whom know Pakistan’s politics intimately. The Vice President has lost his South Asia expert Herro Mustafa to the U.S. embassy in New Delhi. At the Department of Defense, the chief negotiator and persuader for the United States with the Pakistan military, Chairman of the Joint Chiefs of Staff Adm. Mike Mullen, is departing soon, leaving big boots to fill. And in the country itself, the Office of the Defense Representative in Pakistan will be losing both its head Vice Admiral Mike Lfever and his deputy, Brig. Gen. Mike Nagata. Mike Lefever. Meanwhile, aid coordinator Robin Raphel is coming back to the States. One assumes there must be someone planning all these moves and coming up with a new team that will work with Pakistan to retrieve a relationship that has come under tremendous stress in recent weeks. It is clear that the timing of these departures is unfortunate in the wake of the Bin Laden raid and related events. Perhaps a new team is standing by. Perhaps not. It is not clear who is coordinating Pakistan policy today in Washington, and even less clear who is willing to take leadership on Pakistan in Washington and in South Asia. Difficult days lie ahead for an already turbulent situation. Shuja Nawaz is director of the South Asia Center at the Atlantic Council. This article originally appeared on Foreign Policy’s AfPak Channel. South Asia Center Director Shuja Nawaz moderated the discussion. Dr. Ahmad gave a candid presentation on the state of Pakistan’s economy, and the consequences of not addressing the key structural imbalances that continue to haunt it. He outlined the failure of the Pakistani government in not efficiently utilizing aid money from international community, the low tax/GDP ratio, and the presence of a coalition of vested interests within Pakistan. Although primarily focused on the economy, the presentation also discussed a crisis of mentality and expectations within Pakistan. The presentation was followed by a question and answer session. The discussion was taped by C-SPAN, and can be viewed on their website. Thomas Ricks mentioned the panel on his Foreign Policy blog “The Best Defense”. On June 2, the Atlantic Council’s Iran Task Force released its third issue brief, Iran Sanctions: Preferable to War but no Silver Bullet, with a Symposium on Iran. Iran Sanctions, authored by Iran expert and Atlantic Council Non-resident Senior Fellow, Barbara Slavin, outlines the penalties imposed on Iran as a result of its nuclear program; its support for organizations the U.S. government has designated as terrorist; and its human rights abuses. It also discusses the impact of these penalties on Iran’s nuclear advancement, and the consequences for the overall Iranian economy. SHUJA NAWAZ: Good afternoon, again. I’m Shuja Nawaz and welcome, on behalf of President Fred Kempe, to this year-end – our first year of work of the Iran Task Force and also the launch of a fresh issue brief that we’ll be sharing with you today. I’m delighted that all of you made the effort to come here. This is our first major public event. We’ve had a number of briefings: five closed-door briefings with very high-level officials and experts to talk about issues relating to Iran. We’ve had two previous issue briefs and then the third one that’s been launched today. And we’ve had the very able guidance of our co-chairs, Ambassador Stuart Eizenstat and Senator Chuck Hagel. And, of course, our executive director for the Iran Task Force project, Mark Brzezinski – Mark unfortunately had another commitment due to his day job and couldn’t make it today, so I am the poor substitute for Mark Brzezinski today. But I do also want to thank the Ploughshares Fund for having the confidence in our ability to take on such a vast topic and to have provided support for it. And so we thought that we would culminate our first year’s effort at having a larger gathering and an open symposium to which we’ve invited at least three outside speakers who will share their wisdom with us. I’m going to step aside now and request Ambassador Eizenstat, if he could say a few words. And then I’ll come back and we’ll proceed with the rest of the program. STUART EIZENSTAT: Thank you very much and thank you all for coming. This task force has been a very action-oriented task force, which – we have tried to get, with every issue dealing with Iran, the world-class experts both here and outside of the country to brief us. I don’t think there is a more important issue facing the United States and the international community than the direction that Iran takes, all the more so with respect to the Arab upheavals and how that places Iran in this context. One can certainly argue, on the one hand, that the model of violent revolution and radical revolution has been very much undermined by the Arab spring. On the other hand, there are obvious areas where Iran can potentially gain a foothold in the area, as they are now in Syria. I think the first time that they’ve actually had the al-Quds force in a state neighboring Israel. So the whole topic of Iran is an enormously important one, with, of course, the nuclear issues as well. To summarize what we’ve done very briefly, we’ve had our first briefing of our task force – it was moderated by Ted Koppel; it was shown on the Discovery Channel – called “Iran: The Most Dangerous Nation.” We had a number of experts there. The second briefing involved Gary Sick, who was a former colleague of mine in the White House; Barbara Slavin, who has been – if there’s one thread that connects all of this, it’s been Barbara’s fantastic work. She is, of course, a journalist, an author of “Bitter Friends, Bosom Enemies: Iran, the U.S. and the Twisted Path of Confrontation.” And that involved the second briefing. The third focused on the nuclear issue and there were a number of experts, including the deputy secretary of energy and most particularly Dr. Olli Heinonen, who was a very senior official with the IAEA and gave us some really fascinating perspectives. We launched our first task force issue brief, “The Iran Stalemate and the Need for Strategic Planning,” during a roundtable discussion with Barbara. We had a fourth briefing of the task force with Undersecretary of State for Political Affairs Bill Burns, the new deputy secretary, and remarks by Ambassador Roberto Toscana, the former Italian ambassador to Iran. We are very pleased to have an outstanding panel today. And if I can ask each of them, perhaps, to come up as I call them. Mehdi Khalaji, the senior fellow for the Washington Institute. Thank you very much. Alireza Nader, international policy analyst with RAND. Djavad Salehi-Isfahani, non-resident senior fellow with Brookings, professor of the department of economics at Virginia Tech. Our old reliable – I should say youthful, reliable Barbara Slavin, non-resident senior fellow here. And Shuja will do the moderating. So thank you again and we look forward to another interesting and important step in this task force’s work. MR. NAWAZ: If I could now – since Ambassador Eizenstat has introduced Barbara already, I don’t need to say much more except that she has really been the force behind this task force, in not only keeping us on an intellectual path that was true but also in providing the intellectual heft through the production of the issue briefs, which she has worked extremely hard at producing. So one of the things we wanted to do very proudly today was to introduce the third issue brief in our series. So may I request Barbara to come and talk about it – thank you. BARBARA SLAVIN: Thank you all for coming. Thank you Shuja; thank you to our speakers, who I’m sure you’re going to enjoy. Thank you to Ambassador Eizenstat for calling me young. (Chuckles.) I’m going to be very brief because you have the issue brief in front of you and I invite you to read it at your leisure. So I’m just going to make a couple of points about it and then we’ll turn to what I hope will be a very deep discussion of Iran now, almost two years after its disputed presidential elections. This issue brief is about sanctions. And until the recent measures that were taken against Moammar Gadhafi’s Libya, there was basically no country on the planet that had been socked with more sanctions – tougher, broader sanctions – than the Islamic Republic of Iran. There are many things now that Iran is not supposed to do. It cannot buy materials that can be used for uranium enrichment or materials that can be used for missile development or major conventional weapons systems of any kind. It’s not allowed to sell weapons to anyone. Under U.S. restrictions that have arguably had the most impact on the Iranian economy, Iranian banks cannot legally use – process transactions in dollars and they’re facing increasing difficulty dealing in euros. Most Western as well as Japanese oil companies have now frozen investment in Iran’s energy sector and its sales of refined petroleum to Iran. As you all know, Iran still has to import 20, 30 percent of its gasoline because of the lack of refinery capacity. It’s increasingly difficult now for Iran’s national shipping line and airline to operate internationally. These sanctions have had a really painful effect on Iran. But they have not yet achieved their announced goal, which is to get Iran to halt activities that have been deemed illicit by the U.N. Security Council in regard to its nuclear program. There are two main reasons for this, and they’re pretty obvious. One is the high price of oil. And, of course, all the instability in the region and the fact that Iran is treated like a pariah is one factor in the high price of oil. This means that even if Iran’s oil production stays the same or declines slightly, it’s still making sufficient money to keep its economy going. The other reason is China. And this report is not meant to be an exercise in China-bashing, but China has basically displaced Europe and Japan as the major player in Iran’s energy sector and overall economy. One senior European diplomat who I interviewed for this piece called high oil prices and China together the, quote, “Achilles’ heel,” unquote, of sanctions. Now, the Chinese have supported, albeit reluctantly, four rounds of U.N. sanctions against Iran. But they draw the line at so-called secondary sanctions, in which the U.S. seeks to impose its policy choices on foreign countries and foreign companies. Such efforts, as Ambassador Eizenstat well knows, have a long history. They go back to 1996 and the Iran-Libya Sanctions Act – ILSA – which threatened penalties against foreign companies that made significant investments in Iran’s energy sector. Most of those penalties were – I believe none of those penalties were actually enforced. Thanks to Ambassador Eizenstat’s efforts, Europe agreed to stop the sale of dual-use items to Iran. But there is new legislation just last year which is a much more robust incarnation of ILSA. This one is called CISADA: the Comprehensive Iran Sanctions Accountability and Divestment Act. And this act has been used now to sanction nine foreign companies for dealing with Iran’s energy sector. Most recently, last week, seven companies were sanctioned for selling gasoline to Iran. One of them was Venezuela’s state oil company. One was an Israeli company, which caused all kinds of consternation in Israel. But none of them were – bless you – none of them were Chinese. WikiLeaks cables reveal that Chinese officials have threatened the United States, basically, to keep their hands off big state companies such as CNO, CN and Sinopec. Late last year, after CISADA was signed, a senior U.S. official went to Beijing and was able to negotiate a tacit deal under which China agreed to reduce its purchase of Iranian oil to some extent and freeze or go slow on investment in the energy sector in Iran. But Iran is still the third-largest supplier of oil to China – supplies about 9 percent of Chinese oil imports. China provides about a third of Iran’s oil imports – gasoline imports. And it’s Iran’s single biggest trading partner, and the largest foreign investor in Iran’s energy sector. John Garver, who is a scholar at Georgia Tech who scrutinizes Chinese-Iranian relations with great detail, has written that Beijing is playing a dual game when it comes to Iran. They’re doing just enough to try to avoid a major row with the United States, but not enough to keep Iran from becoming a nuclear weapons state, should it so choose. Despite public protestations from the Chinese that they oppose a nuclear Iran, Garver says that some elements in China would actually prefer a nuclear Iran because it would keep the U.S. military bogged down in the Persian Gulf and less able to use resources in East Asia to contain China. Where are we now? Iran is continuing, albeit slowly, its nuclear program. Its progress has been slowed primarily by things like Stuxnet and some of the sanctions, which have made it more difficult for Iran to get the materials that it needs to make centrifuges. But it has not yet agreed to curb – to suspend its uranium enrichment program. There are going to be more sanctions. Congress is very good at sanctions: This is something that Congress knows how to do. And there are bills that have just been introduced in Congress that would try to bar foreign companies from signing long-term oil contracts with Iran, to prevent Iran from having reliable revenues that it can count on. And there are other measures. Mark Dubowitz and Marc Reuel Gerecht of the Foundation for Defense of Democracies, which has been very active in this area – they want to require foreign companies to certify that all their products exported to the United States have no Iranian petroleum content. We’re talking here plastics – all sorts of things. I’m not sure some of these things are frankly practical. But it shows you where Congress is going. Still, even these measures are unlikely to achieve their goals. So we have come up with four recommendations the task force here has signed off on which we think might help to improve the picture and perhaps encourage Iran to abide by U.N. resolutions or at least show a different face. The first, obviously, is to try to convince China to use its growing economic leverage over Iran – it now has annual trade of nearly $40 billion a year with Iran – to use this leverage to try to reach a diplomatic solution to the nuclear dispute. The Chinese have an opportunity here to prove that they are truly a mature power that can use their diplomatic and their economic muscle in the service of a settlement on the nuclear front. Second: The U.S. and its partners in the P5-plus-1, which includes China but also the Europeans and Russia, should be more creative and more flexible in terms of their approaches to the nuclear dispute. We’ve suggested that they might put forward a proposal under which Iran would agree to cap its uranium enrichment at 5 percent U-235, and ratify and implement the additional protocol of the NPT, except the most rigorous international monitoring of its program. If Iran rejects this or if the Iranian political establishment is too internally divided to come to any kind of consensus – and you’re going to hear more about that soon – this will simply help to unify the international community more. One thing we’ve seen is that the Obama administration’s efforts to engage Iran at the beginning of Obama’s term helped unify the international community in support of the sanctions that we have. Third, if the U.S. and its allies decide that more sanctions really are needed, focus on human rights. This is a new trend that we’ve seen since the 2009 presidential elections and the government crackdown against Iranians that followed that. Particularly in Europe, this had a tremendous effect and it really changed the whole mood in Europe about sanctions against Iran. Many European governments decided that reform was not going to happen in Iran and that they really needed to get tough. The EU has now sanctioned 32 Iranians for abuses of human rights – United States, only 10. Measures like this show the Iranian people that the international community cares about more than nuclear proliferation and Iran’s support for Arab militant groups – that the international community actually cares about the Iranian people. Finally, the U.S. Treasury Department needs to take some steps to confirm or reconfirm its commitment to certain kinds of trade and transactions that are supposed to be legal, even under sanctions. These are remittances from Iranians to their families. Trade in food, medicine, medical goods: These are allowed. But the banking restrictions that have been imposed have made it almost impossible for people to conduct these sorts of transactions because foreign banks are terrified of any transaction that has to do with Iran. I think it would be very helpful if the Treasury secretary or the incoming undersecretary who is responsible for these matters, the successor to Stuart Levey who, I believe, is going to be David Cohen – if they made a public statement that these kinds of transactions are legal and they will not be blocked, there have to be some banks, somewhere that will handle these sorts of transactions. You can’t force people to go to currency traders to cash payments. This is not the way you want to go. You lose transparency and, once again, you hurt the Iranian people. So, to conclude, sanctions are preferable to war, but no silver bullet. This is what Congressman Howard Berman has said. Like a frog in a pot of water that is gradually getting hotter, Iran has adjusted to sanctions and even benefitted, to some extent, by using them to phase out subsidies of certain consumer goods. But it’s unlikely that this pot is ever going to come to a boil so long as the price of oil remains stubbornly high and China continues to be a major player in the Iranian economy. And I’ll stop there and we’ll go on to our internal politics. MR. NAWAZ: And now we move on to the second phase of today’s event, which is the symposium of ideas. And as Ambassador Eizenstat said, we are extremely lucky to have a very rich and highly qualified panel. And we will begin with Mehdi Khalaji, who is sitting to the right of Barbara, who is a senior fellow at the Washington Institute for Near East Policy. He will focus on the politics of Iran, and the clerical politics, in particular, as we approach the elections. Mr. Khalaji has, apart from being a senior fellow at the Washington Institute, been trained in the seminaries of Qom, the traditional center of Iran’s clerical establishment. 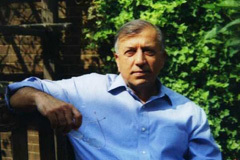 Then he had a career in journalism, serving first on the editorial board of a theological journal, Naqd va Nazar, and then the daily Entekhab. And then he has studied in Paris, worked with the BBC Persian Service as well as with Radio Farda, the Prague-based Persian-language service of the U.S. government’s Radio Free Europe, Radio Liberty. As you most probably note, Iranian government will hold an election, a parliamentary election, in March 2012. This would be the first election after disputed election, presidential election, in June 2009. And also there will be another election a year later, presidential election, in 2013. The election is very crucial for Islamic Republic, despite the fact that it’s not a democratic government, but it’s one of the major tools in the hands of Iranian leaders to show or to provide legitimacy of their government. Iranian government came out of a revolution, so it pursued a populist policy, and it’s extremely important for this government to show that it’s still popular. Election and public street demonstrations on different occasions are main tools in the hands of Islamic Republic for achieving this goal, but both public demonstration and election have become problematic after election 2009, because for the first time in the history of Islamic Republic, at least in one occasion 3 million people came out and they protested against the result of that election, and it had created a big political crisis because government, instead of giving a right answer to people’s doubt, they cracked down the peaceful demonstrators. And as you know, the leaders of this movement, which started in – after that election, two major leaders are now under house arrest. So it’s very difficult for government to ask people to participate in another election while the dispute over the previous election has not been solved yet. And also, because government is very fearful about people’s presence on the street, it became very difficult for the government to ask them to come to participate in different governmental occasions. For example, on Saturday it’s the anniversary of the death of founder of Islamic Republic, and people are supposed to attend the grave of Ayatollah Khomeini in the south of Tehran, and there are heavy security measures there in order to prevent people from taking this opportunity to chant slogans against Islamic Republic. So for Ayatollah Khamenei as the supreme leader of Islamic Republic, one of the major challenges is how to fully suppress this movement and make it enabled to do anything or play a major role in next election. But more – the bigger problem is not Green Movement, because it almost went underground and there is no visible signs of its life. It lacks leadership, organization, ideology, all kind of problems that you can imagine. And little people has hope that this movement can pose a real challenge to Islamic Republic in near future, and my colleague Ali will speak about it. The bigger problem for Khamenei is Ahmadinejad, the president, who was famous for being the favorite president of Ayatollah Khomeini. Ayatollah Khamenei, who became a leader 22 years ago, he was very weak. His political and religious credential was under question; he was not the natural successor of Ayatollah Khomeini. The first president, Rafsanjani, was a very powerful and influential politician, close to the founder of Islamic Republic, and to some extent the power was shared between Khamenei and Rafsanjani for at least the first term of his presidency. But gradually, by empowering Revolutionary Guard, by empowering the intelligence apparatus of the country and getting full control over the judiciary, and also making the clerical establishment dependent on the government’s funds, Ayatollah Khamenei found right mechanisms to weaken the president. So Rafsanjani, in his second term, was a very weak president compared to his first term. And after him, Khatami came to power. Khatami’s election was exceptional; 22 millions of people voted to him, including many people in Revolutionary Guard, especially in rank and file people and in army. You know, he attracted clerics; he attracted the urban middle class; he attracted many people who never participated in any election in Islamic Republic. And so his legitimacy was very established by this election. But again, after four years Ayatollah Khamenei overcomed this sense of being, you know, overwhelmed by this election and started to weaken Khamenei (sic) by suppressing student movement, arresting journalists, and limiting the power of president. And in his last years as president, Khatami said president is nobody in this country and he has to always implement agenda of the supreme leader. Six years ago the major occupation of Ayatollah Khamenei was how to get rid of reformists, how to get rid of powerful politicians who have their own independent power center independent from Khamenei and do not owe their political credential to Khamenei. It was very important for Khamenei to bring up his own people, to bring up his – a new generation of politicians who look at him, who are loyal to him and who are nothing without him. So these are people that Khamenei is comfortable to work with, and he was looking to create this new generation. Ahmadinejad was the perfect candidate for this because he was almost unknown for people. He was mayor of Tehran, and as mayor of Tehran, he proved that he’s so committed to radical Islam. And also he created a very special image for himself that was very lovable for lower class in Tehran. He was showing that I’m against corruption; he had a very modest life, a modest car, modest house. So he was the antithesis of Rafsanjani, who is the symbol of economic corruption, and antithesis of Khatami, who was the symbol of political reform. So – and he was nobody, and obviously, if he could come to power, he would have been total loyal to Khamenei. This was Khamenei’s calculus. He came to power, and Khamenei put all his eggs in his basket, hoping that Ahmadinejad would make him get rid of reformists. And obviously, Ahmadinejad cleaned the government from old reformist and technocrat elements. So the government under Ahmadinejad was completely refreshed in favor of Khamenei. Another concern of Khamenei was also nuclear policy under Rafsanjani and Khatami, which was more cooperative with the West, and with little fruit, from Khamanei’s perspective. Khamenei realized at that time that we give up but West doesn’t give up, so we have to change this policy and go for a more offensive policy. And this policy needs a new figure. Neither Rafsanjani nor Khatami cannot implement a more aggressive nuclear policy, and they are unable to show their teeth to the West. So Ahmadinejad was the right person to do whatever Khamenei did not want to do himself, including denying September 11, denying – you know, saying very harsh statements about Israel, West, all those things which frighten the West but cost a little for Khamenei himself as the leader and make Khamenei look very moderate person. So for the first year, Ahmadinejad associated himself with two things. One is more aggressive nuclear policy, and second thing was an apocalyptic political discourse which tried – through which he tried to show himself I’m very religious, I’m a true believer in the main ideas of Shia Islam, in order to attract people in the religious strata of the society and also clerical establishment. The 2009 election happened. Ahmadinejad found out that this is the time to impose much of the presidential election’s cost on Khamenei and take this opportunity to challenge Khamenei himself. Interestingly, since 2009, except for the first week, Ahmadinejad did not say anything about disputed election. He did not condemn the leaders of Green Movement. He did not say anything about what Iranian government called itsnitsna (ph), or political unrest, and didn’t mention – it’s like nothing happened, and made it the task of Ayatollah Khamenei to actually come publicly and condemn – in a very obsessive way, in every speech he made, he was attacking Green Movement and its leaders and blah, blah, blah. So it was – and Ahmadinejad tried to also change his political discourse from apocalypticism to nationalism. Why? Because he knew that many people are unhappy about this government because of exactly the violence used against people after this election. So we have to attract those passive strata of the society who are not religious and who are not much political, but they are proud of being Iranians, and they can be attracted by a nationalist discourse. But interestingly, both apocalyptic discourse and nationalist discourse, what they have in common is that they are extremely anti-clerical. And nationalism in Iran traditionally, since Reza – the first Pahlavi Shah, was associated with secularism. So this really frightened the clerics. And Khamenei after a while, after his orders were ignored systematically by the president, after clerics’ advice on various issues were systematically ignored by Ahmadinejad, he decided to take this dispute to public and publicize this disagreement between Khamenei and Ahmadinejad. So Ahmadinejad’s point with Khamenei is not exceptional. All presidents fought with Khamenei. And even when Khamenei was president, he fought with the supreme leader. He was against his prime minister, and his prime minister, who is now under house arrest, he was much closer to Khamenei – Khomeini, the supreme leader of that time. So it’s very typical. But the difference is that by – this fight doesn’t have only cost for Ahmadinejad; it costs also Khamenei, too, because Khamenei, two years ago he paid a hefty cost for bringing Ahmadinejad to power. And now he’s saying that he’s not my guy, he is not right person, and he has mobilized state radio and television, all the imams of Friday prayers all over the country, the clerical establishment, newspapers and all media, to wage a very aggressive campaign against president and teams. And many people in Ahmadinejad’s team were either under interrogation by the Ministry of Intelligence, or some of them are arrested and so on. So we are going toward an election which is – the winner of which is Ayatollah Khamenei again, but this Ayatollah Khamenei, despite the fact that that’s the winner of this election – I mean the next two elections – his popularity and legitimacy is much more at risk than before. He will speak today primarily on the Green Movement, but we look forward to his remarks on other topics as well. Ali. MR. NADER: Good afternoon. Thank you for the invitation, Barbara, to finally come. I think it’s an exciting time for Iran right now. I think Iran is headed toward a direction which shows a lot of upheaval and internal instability. Today I’m going to talk about the Green Movement very briefly. I want to address three questions regarding the Green Movement: What is the Green Movement, what are its objectives, and whether the Green Movement can be successful in any way. So if we look at the Green Movement, it’s not an organized political party per se; rather it’s a – it’s a social movement more than anything else. It’s a network of people across Iranian society. And the Green Movement does have broad support within Iranian society, has support among the middle and upper classes, the lower classes, the clergy, students, laborers, teachers. The Green Movement even has support within the Revolutionary Guards. The head of the Revolutionary Guards, General Jafari, actually admitted to this. He said: When we were going through the barracks of the Revolutionary Guards and the Artesh, the regular armed forces, they had pictures of Mousavi and Karroubi, the Green Movement leaders, in their barracks. So it’s not just a secular middle class movement, as it is often portrayed in the – in some circles in the West, anyways. Then these are some of the Green Movement’s strength; it cuts across society. But it has some fundamental flaws, and one of these flaws are divisions within the Green Movement itself. There are those who support the Islamic Republic and Ayatollah Khomeini’s legacy but who oppose the Ayatollah Khamenei as the supreme leader. Then there are those who oppose President Ahmadinejad but are willing to compromise with Khamenei. And then you have members of the Green Movement who are opposed to the Islamic Republic as a system of governance for Iran. They tend to be secular and nationalist, like Mehdi mentioned. But I think there’s even a bigger divide in the Green Movement that’s not often considered, and that’s the division between the ostensible leadership of the Green Movement and the people. Who are the leaders of the Green Movement? We have Mir Hossein Mousavi, who is a former prime minister, former speaker of parliament Mehdi Karroubi and former president Mohammad Khatami, and, perhaps more importantly, Mousavi’s wife, Zahra Rahnavard, who is considered by some to be the brains behind the whole operation. (Laughter.) The leadership, except for Khatami, is under house arrest. So we don’t hear much about them these days. So what does the leadership of the Green Movement believe? The leadership is wedded to Khomeini’s legacy. They’re devoted to the revolution. Mousavi was Khomeini’s prime minister during the Iran-Iraq War especially. He did a lot to save the Islamic Republic at that time. But unlike Khomeini, the Green Movement leadership believes that the legitimacy of the Islamic Republic just doesn’t come from the supreme leader; it doesn’t come from divine authority; that popular participation in the republic is important; that the constitution is important and should be implemented. So they’re not opposed to the concept of – (unintelligible) – or the rule of the supreme jurisprudent, per se. Their problem is really Khamenei and the system he has created, in which he is really in a lot of ways a dictator – an authoritarian figure. But if you look at a lot of Iranians today, they don’t necessarily share these values. You can argue that the Islamic Republic has had some achievements. It overthrew the shah; it made Iran an independent power to a certain extent. But Iran today faces many, many problems. It’s a society under extreme pressure. You have unemployment, inflation, corruption, drugs, prostitution, sanctions, international pressure. The list goes on and on. According to some sources, youth unemployment in Iran is as high as 50 percent. And of course, it’s hard to verify these figures because the Iranian government often cooks the data for its own purposes. And figures within the Ahmadinejad government have alluded to this, and some of them have been even more explicit. So simply, the Iranian people are exhausted. During the 2009 presidential elections and the protests that followed, I remember one Iranian was interviewed in the holy city of Qom, and he said, what Iran needs is a new beginning. And I’m not sure if the Green Movement is that new beginning or the leadership of the Green Movement is that new beginning. So can the Green Movement be successful? I think the Green Movement – the leadership, anyways – the figures I mentioned – are basically part of the political system still. They have been excluded from power by Khamenei and the Revolutionary Guards. But they want to come back. And recently, Khatami made a comment and he said, I think that the regime and the people should forgive each other, that Ayatollah Khamenei should forgive the people for their sins, and let’s make up, basically. And Khatami and the leaders of the Green Movement are basically seeing Ahmadinejad’s weakness right now as an opportunity to come back into the system. And this is what they’re angling for in the 2012 parliamentary elections and the 2013 presidential election in Iran. But we have to ask if this is a viable strategy. How can you run in elections? How can you implement the constitution if the regime in Iran holds all levers of power? We saw yesterday that during the funeral of a very prominent Iranian political figure, his daughter was punched in the stomach and killed. So if Iranians can’t even hold demonstrations peacefully – if they can’t even attend funerals peacefully, how are they supposed to participate in elections? Ayatollah Jannati, the head of the Guardian Council, came out and said, look, the reformists can’t run for election anymore; they should just forget about it. So we have to wonder what Mr. Khatami really has in mind for the Green Movement and for the Iranian people. And so that basically leaves demonstrations as a strategy. We had millions of Iranians going to the streets after the 2009 presidential election. Mr. Mousavi has said that he is willing to martyr himself for reforms in Iran. But I don’t think most Iranians are willing to risk life and limb for big notions of reform and unidentified objectives. If you’re an Iranian in Iran – if you’re a young Iranian, why would you go out into the streets? What’s the end result? When we look at countries like Egypt where they had these revolutions, there was an objective. Mubarak’s overthrow was an objective. With Iran, I don’t think there is an end goal because the Green Movement hasn’t identified the overthrow of the regime as its objective. And, as I argue, reforms are not going to work in Iran for the foreseeable future. So I think the utility of the Green Movement is basically a facilitator of change, not necessarily an enforcer of change in Iran. I think it has given Iranians some hope that there is a future for them. But interestingly, I think what has happened with the Green Movement today is that the people may have actually lost hope in avenues – in political options, that they have lost hope in reforms espoused by people like Mousavi and Khatami. So perhaps their best option is to jettison this leadership that basically is mired in the past and holds onto these outdated views that really do nothing to solve Iran’s problems. Thank you. MR. NAWAZ: Thank you, Ali. And now, our final speaker from the dais is Djavad Salehi-Isfahani, who is a professor of – in the department of economics at Virginia Tech. He’s also a non-resident senior fellow at the Brookings Institution and he’s also serving as the Dubai Initiative fellow at the Belfer Center for Science and International Affairs at Harvard’s John F. Kennedy School of Government. He has also served on the board of trustees of the Economic Research Forum, a network of Middle East economists based in Cairo. As his profession indicates, Djavad is going to concentrate on the economy. DJAVAD SALEHI-ISFAHANI: And choke up some graphs, if you don’t mind. I’m not going to show you all the slides because I can’t see them myself, but there’s nothing lost if you just – if you don’t care about memorizing the numbers. I’m going to throw some numbers out. But some of the numbers are here. I’m going to talk a little bit about the overall economic conditions in Iran and then focus on one particular issue that may be of interest to you, but this also demonstrates the kind of problems that Iranians are facing, and that’s the – (inaudible). So the economy is obviously not doing well at the moment. If you see that red line over there, it was going up for a while and then it became flat after 2008. Iran’s recession began a little ahead of the rest of the world because they had a housing boom that burst. It burst because the housing boom was fueled by expenditure of the oil revenues, inflation was rising, the central bank had to hold back on its – on money supply in order to lower inflation. And that caused the burst of the housing bubble. And, after that, you know, a lot of people work in construction – about 9 percent of the workforce. And the economy started – it didn’t really go on a tailspin. It didn’t start falling because the government is big and the government is rich. And as long as with the oil prices, the government can – government does what it does, which is repair roads, it built new ones, various kind of infrastructure activities, the economy can stay at a – sort of a steady level. And this may be a 1 percent growth rate since 2008, per year, but not more. They’ve been doing all right with oil revenues. I put here on the lower right a graph that shows the share of the oil rent in total economy. As you can see, before the revolution, this was much bigger. So the shah had much more in terms of oil revenues than these people have. The reason was that Iran’s population was much smaller and the real price of oil was about what it is now. So because population has increased in Iran and because oil production has fallen by at least 60 percent – oil exports, I should say, have fallen by about 60 percent since the revolution, there’s a lot – there’s less money to work with. But still, it’s about 25 percent or 30 percent of the economy that’s based on oil – the oil rent. These are calculated by the World Bank, by the way. Now, this stagnant economy comes at a very, very bad time because there has been an independent movement on the demographic side that has brought a lot of pressures, especially on young people. This is happening at a time when the government is least able to deal with employment issues. And there are a number of reasons why it is least able to deal with employment issues. But let me tell you a little bit about the demographic pressures. Iran had a baby boom around the revolution. It was about 30 years ago, and now that baby boom is ready to become adults. Should have been, actually, adults five years ago; they’re age 30 now. But about 50 percent of them still live with their parents. And their unemployment rate was about 25 percent until recently and it’s – for men. And it’s shot up to about 35 percent, according to my calculations. These are not cooked-up numbers, by the way. These are numbers you get from the surveys. One of the puzzles about Iran is that they do actually supply a lot of raw data that you can go work with. We have extensive surveys, even census data, that reveals very high unemployment rates. And they may not like to advertise it. For women, for example, unemployment rate has gone to 55 percent – for young women in their late 20s, 55 percent are unemployed. Those are huge numbers and it is from surveys that they collect themselves. The reason why you see these high unemployment rates is because for every one person who retires in Iran, six young people enter the labor market. That is a historical record. It’s also a historical record that 35 percent of the population is in ages of 15 to 29. Young Iranians in that age group outnumber all the adults age 30 to 64. So if you look at Iran and this demographic – this demographic view, what you’re seeing is a lot of people waiting to enter an economy and they know their numbers are larger than the people they’re trying to replace, and they have their own ideas. And the Green Movement is expressing a lot of those new ideas that the young people are bringing to the fore. So at the same time, the government that used to use public employment and various tricks to expand employment has run out of those tricks. The last one they did was to give $18 billion in terms of low-interest loans to young people to set up businesses. Most of the banks who participated unwillingly in that process have now – are now kind of bankrupt because they can’t collect the money. In Iran, if you borrow from the government, you don’t want to give back. And, you know, there’s all sorts of reasons: connections, corruptions, you know, the very rich anyway. So it’s a very bad idea to lend to people who are actually small players and they can run away and the banks are not able to collect the money. And they can’t expand the bureaucracy anymore – the bureaucracy is already very large. So, really, the solution is private sector. But private sector requires a whole atmosphere to operate. It needs to be independent. It needs to be able to predict the future. And what you have heard about Iran’s politics, it’s all in the other direction. Iran’s politics is not predictable and, because of the sanctions, the economy is not very predictable. So private sector is not moving in when the government – to replace what the government used to do, which is to create jobs. And on top of all this, there are very serious inflationary pressures. Some of them come from that project unemployment. When you lent money, people actually spended (ph) it. If they spend it right, there will be production, which will then increase supply as demand increases, so there will be inflation for a short period but not later. But anecdotal evidence shows that that didn’t happen. The central bank did one study of these quick-returns projects, and it was kind of hush-hushed. They found 46 percent had not spent the money on the things that they had promised to do. I’m not at all surprised. Anyone who sees Iran’s banking – it’s not a development banking system. It’s a banking system set up to understand projects and be able to lend to the most worthy projects. So the other part of the inflation that is coming is subsidy reform. And I have some slides I wanted to show you on subsidy reform because it’s about $30 billion – money that’s being distributed. And if you want to put some perspective on that, we see – I’m trying to get to the why – why they did it. Where is the why? Thank you. If you want to know how large the project is – subsidy reform – they basically raised the price of gasoline, natural gas, gasoil and even bread. And they’re collecting this money at the pump and the various places. And they’re trying to give it back to the people – it’s the only way this could have been implemented, if people knew they were going to get the money back. And it’s 30 – about $30 billion in size and about 40 percent of Iran’s oil revenue. So it’s a very significant project. For every person, every day, it’s $1.50 or $45 per month, per person. And the money has actually been deposited in people’s accounts, and they’ve collected it. Some 70 million Iranians who have new bank accounts with money going into it at the rate of about $45 per month. That’s policy reform that I think is at par with the reversal. This is, by the way, a reversal. It’s a reversal because the government thought it was going to keep going on with cheap energy – let people have it. And they suddenly decided to reverse themselves and raise the prices. They’ve been talking about it but they actually did it on very short order. Before that, they had done something similar with birth control. They first said, it’s good to have many babies. And then they suddenly changed their mind under Rafsanjani. And so they’re very good at this kind of pragmatic policy reversals, to do something that’s necessary to do. And the reason why they found it necessary to do, one, was because they had to reverse waste. Iranians consume about a liter of gasoline per person – they used to – over a year ago, they used to consume about a liter of gasoline per person per day. That is nearly twice as much as the French use – well, about one-third of what Americans use. But it’s still a very, very high number. And they clogged the streets with their cars almost endlessly going – traveling, visiting each other and relatives. They spent a lot of time doing that. So it seemed like a very good idea that they should pay for gasoline as much as the Turks do. And Iran has always admired Turkey as being a very sensible country. The ones who travel there for vacation, they come back saying it’s a good country. Well, it’s a good country – gasoline prices there are about $8 per gallon. They also wanted to respond to sanctions because years ago, they decided not to build more refineries because if you have refineries, people consume cheap energy. So they thought if they actually imported and it goes into the budget, then that would be a way to control the appetite for cheap gasoline. And it worked. At some point, they had $5 billion in the budget for imports. Then the government would run out of it. There will be huge debate about the government trying to import gasoline outside the budget. It’s always, last few years, have been a struggle about trying to stick to the budget approved for import of gasoline. But the best thing they did – and I think it was Rafsanjani’s idea – was not to build refineries in order to be able to educate the public about free gasoline. I talked to a press – one New York Times reporter about this, who thought the idea was bogus. And he wrote on front page of The New York Times, the country is so incompetent that they can’t even produce gasoline. The third reason they did it was to redistribute in favor of the poor. And this is why Rafsanjani could not do it; Khatami did not want to do it and Ahmadinejad almost had to do it. Neither of the previous presidents was very much for redistribution. Rafsanjani was definitely dead set against it. He was a very pro-market, pro-business guy. Khatami had some ideas about redistribution but never got very serious about it. Ahmadinejad has been obsessed with redistribution, to take money from the rich and to pay the poor. At one point, he said, alarmingly, to people of northern Tehran, where all the expensive apartments are, he said, I don’t understand all the apartments of the people who have run away. Why are the poor still not with apartments? You know, if you did the math, of course, there would be many, many fewer apartments or many, many more poor people to have the apartments. But his thinking goes on like this, that problems of Iran can be solved by redistribution, even just taking the apartments from rich people who run away and giving it to the masses of Iranian poor. Now, this plan is the most intelligent he has come up with. And his implementation is also very clever. Is this “how they do it”? No – let me go to “how do they.” He had to overcome a huge deficit in trust between people and the government. And the way he did this is to talk about the money that they were going to get back, then implement this program in three provinces and then finally putting money in everybody’s account, and waiting for them to see the money, but they couldn’t withdraw it. About two months passed, when people thought they had the money, and they were actually planning – I remember a taxi driver; I asked him, what were you going to do with the money? He said, I’m going to buy an LCD television because my wife really likes it, and our relatives have already bought it. I reminded him that the (mass ?) didn’t match to the money he was going to get, but then he said, you know, we are about 10. You know, if you’re 10 people, you can actually buy a 50-inch LCD television with your first – they pay two months’ money at once. And apparently, there were a lot of these kind of expenditures. So the money went to the Chinese and sort of to the Iranians. But the idea was that if you didn’t want to have riots in the streets and the petrol pumps, that people had to be first looking at the bank accounts and not at the petrol pumps. And that, they succeeded. So the program was started in December, last December, and it went very smoothly. You know, nothing in Iran is terribly smooth, so the people whose applications had been lost – there were – you know, various banks or the central statistical agency trying to remedy that. But eventually people got – and there was a website that helped them put in their applications. One of the clever things he did is after a plan completely failed to give nothing to the rich but all the money to the lower-third of the population, he backed out from it. So they announced where your location was in the income distribution from the numbers they have; a lot of mistakes were made. People were making jokes about it. So he went on national television and said, please forgive us. Forget the plan; we’re going to give everybody an equal amount of money. So his pragmatism really helped. It calmed everybody down. And he also realized that he couldn’t trust his bureaucrats. He had to fire the head of the statistical agency for having promised this system of distribution, identification of people by income class, that he had invented was actually going to work. When it fell flat, he fired the guard promptly. So now everybody gets the same amount of money. But because the previous subsidy was highly regressive, the distribution is the – this re-distribution system is progressive. And this is what I need – actually, the numbers – so if you look at the share of income decile in various subsidies – for example, look at gasoline, which is the most regressive – you see that the poor – the lowest decile only pay about two-point – only benefitted of 2.4 percent of the total subsidy that was given out, OK. The total subsidy – 30 percent of it went to the top decile of income. Electricity was another very highly regressive subsidy. Twenty-one percent went to the top decile; 4 percent went to the bottom decile. So you can see, only bread was actually equally distributed – subsidy for bread went about 10 percent to every decile. So when you take all the subsidy money by charging market prices, and give it back equally, you are going to benefit the rich substantially. Let me go quickly because I’m running out of time on this slide, which I have created – in order to create an impression, a scenario, this is not scientific calculation of general equilibrium models. All I did is to take – it does work with survey data. So we take everyone in 2009 survey, bring the incomes to 2010 when the program was implemented, and do the following: Assume that price have increased the same for everybody. In reality, the rich pay much higher price than the poor because every price that can be metered, like natural gas and electricity, has a sliding scale. And for the very poor, there is very little increase in the price. So they’re not going to get much of a shock when the new bills come for electricity and natural gas. But if you are consuming a lot, the numbers are going to be very high. So it is that the – if you take the payment that the poor will make because of the higher prices on these items, they’re going to pay only 14 percent – that’s the last column – of their earned subsidy cash back to the government. So they’re going to keep 86 percent of that for themselves. That’s actual money in their pocket they didn’t have before. That’s their oil money – the oil money they’ve been waiting for, forever. Nobody has actually sent them a check; now, finally, they’re getting a check like the Kuwaitis do, like the Bahrainis do, like people in U.A.E. do. The rich – as you go up, you see that this proportion increases, meaning immediately 60 percent of the money they got in the top decile will go back to the government at the pump. I actually think that’s close to 100 percent because I didn’t have time to implement this sliding scale. If I did that, you will see the rich are not going to gain at all. They’re going to come back neutral in this. What these numbers show, however, is that government’s going to go bankrupt because it’s collecting less than it’s paying out, right? This should be in total such that the money goes from the rich to the poor, but actually, the money is going from the government to almost everybody. And that is one of the big things now that people are fighting over in the parliament because he’s so keen to pay the money out, he is finding money everywhere to pay this cash subsidy. And he’s not collecting enough at the pump, and he’s now become the oil minister, so nobody can question what the pump money is. So a lot of interesting stuff is going on. But I have to stop. And let me just say one other thing, which is, I think, very interesting about this subsidy money – I don’t have the numbers here, but I’ll say it. If you think about this, Iran has been trying to reduce poverty forever. OK? There have been a lot of economic growth, yet you have a province, Sistan and Baluchestan, which is the poorest and is an outlier in terms of poverty. It seems like the money that comes of Tehran just doesn’t make it there, either because they’re too far away, or because they’re Sunnis, or because they just don’t have the infrastructure and the education. How would you try to equalize the money that goes out from Tehran? I think you will just get everybody’s bank account, and put the money in there. And if you do this exercise now – so poverty in Sistan and Baluchestan is about five times the national average. OK? We had about 10-percent poverty rate before this in Iran, and Sistan-Baluchestan’s was about 50 percent. These are, again, from the survey data. If you calculate in this cash the way I have done, poverty in Sistan and Baluchestan goes to 12 percent, which is something you could not have achieved with any other development program. I can guarantee you, in Iran, if you try to put the money in Tehran, half of it would be stolen, and things wouldn’t get built in, and so on. But at the moment, they’ve done something to Sistan and Baluchestan that nobody had been able to do for a very long time. And I’m going to stop here. Thank you very much. MR. NAWAZ: Thank you, Djavad. Obviously, there are many questions that you have. And I’m sure that the panelists themselves have questions for each other. If I may, I will lodge the first question, and then I’ll request you to indicate your desire to ask a question. When the microphone reaches you, if you would please identify yourself because we will be transcribing this, and we’d very much like to know who asked what question. So my first question is a point a number of the panelists made – and I’m going to leave it open to whoever wishes to answer it, or more than one person can answer it – which is the frequently asked question of the Arab Spring: And will the fact that there is a youth bulge, and will the fact that there is youth unemployment really translate to movement inside Iran? MR. NADER: I think even with Egypt, if you look at Egypt, that’s in a very uncertain position. Just Mubarak is gone doesn’t mean Egypt is necessarily headed in a better direction. There are those who argue that the Muslim Brotherhood is poised to take power, and you can make arguments about the Muslim Brotherhood, whether it’s progressive, whether it’s fundamentalist, et cetera. But there was that objective, nevertheless, to overthrow Mubarak. I think with Iran, the question is, well, who will come after Khamenei is gone? The Revolutionary Guards have a lot of power in Iran. So if you throw this clerical-led system, will you have a completely militarized system run by the Revolutionary Guards? Is that a better system? And I think this is what worries Iranians because they have experienced a revolution, and a lot of them suffered because of this revolution. And they don’t necessarily want another revolution that will introduce even more uncertainty. I think they’ll look at the Arab Spring, and maybe they’re inspired. I think this notion that the Arab Spring is going to inspire Iranians is a little bit exaggerated, frankly, because what happened in Iran preceded the Arab upheavals. But I think at the same time, they’re very conscious because look at what is going on in Libya and Syria and Yemen. And I think there is real potential for violence in Iran. We’ve seen that in the southern city of Shiraz; there have been clashes between Ahmadinejad supporters and Khamenei supporters. And there are various components within Iran that are very powerful. There is Khamenei and his gang, Ahmadinejad and his followers, the green movement, the Rafsanjani camp. And each has a particular level of influence and power. The green movement or the reformists have relied on street demonstrations; other groups are armed. And so I don’t – I wouldn’t rule out the possibility of not an “Iranian spring,” but severe internal conflict in Iran. MR. NAWAZ: Thank you. Anyone else wish to add to that? MR. KHALAJI: I think Iranian just did a revolution 30 years ago, and you know, it’s very – and especially, they have gone through two major experience – one, revolution, and another one was eight years’ war with Iraq. And each of these events were enough to traumatize a nation for a long time. What Iranians fear is violence. They don’t want to go through a new experience which leads to uncontrolled violence. If they – the word “revolution” is a taboo in Iran because people don’t like this word. They don’t have a good memory about it, you know? They don’t have a good experience with it because of the huge wave of executions happened right after revolution. And now, people, you know, miss shah, even people like my father who did revolution, or participated in – (inaudible). So when they are talking about reform, they don’t really mean reform by staying within the framework of Islamic republic; they really want to get rid of clerics. That’s no doubt about it. But they don’t say “revolution” because in their mind, revolution is associated with violence. So I think Iranians are looking for a fundamental reform as long as they can prevent violence. They didn’t find a rightful mullah for this. And nobody – there is no theoretician for reform or fundamental reform. As Ali said, the green movement does not have an ideology. How you can get rid of this Islamic republic without going through that painful experience? MR. SALEHI-ISFAHANI: – just say quickly that I don’t think we should underestimate the level of political competition that goes on in Iran. And I’m not sure “autocracy” is the right word to describe Iran. You know, Mubarak, Ben Ali, they really look like very good targets for variety of people coming from different directions. And in Iran, you have both multiple targets – you know, Ahmadinejad, if you watched the election debates as I did in Tehran, tried to think what an ordinary Iranian sees, he came as an anti-mullah candidate. Mousavi kept talking about Ayatollah Khamenei and how great he was. Ahmadinejad didn’t mention him in particular, but he kept talking about several corrupt mullahs that were on television at the time – Rafsanjani; he accused Karoubi of corruption. And I think a lot of people saw him as pretty much an anti-mullah candidate. So if you have him, and then you have the mullahs – and then green movement obviously knew what he was doing. I think they were very much against Ahmadinejad because he had nothing for them. You know, a lot of the green movement people come from middle class and upper strata who wanted democracy, who wanted freedom to express themselves. They don’t need little handouts like this. But the people at the bottom are just waiting for these handouts, and it’s unfortunate they do that. You know, I don’t want to come across, by the way, saying that handouts are good. I’m an economist – (laughter) – you give people money if they do something; you don’t give it for sitting at home. So I hope they will change that; gradually, this will become money for work, or something else – or become infrastructure money. But essentially, I think in Iran, the game is not over yet. People are still watching with interest, this cast of characters who come; they compete with each other. And right now, they are mesmerized by this debate, this infighting between Ahmadinejad and Grand – I mean, Ayatollah Khamenei. So at this point, who do you want to overthrow exactly if you had the choice to overthrow – (laughter)? Q: I’d like to follow up on this line of questioning just a little. My name is Robert Beecroft; I’m a retired U.S. ambassador, served twice in the region, although not in Iran, of course. The Syria connection is obviously one of great importance. And I’d just like to get your view on how far Iran is willing to go in support of a Syrian government which is now under great pressure, which is not Shia, for the most part – in fact, it’s not even Sunni; it’s Alawite – and what the strategic goal of Iran is in Syria. MR. KHALAJI: Hafez Assad’s regime has tried to legitimize Alawite by approaching to Shia even before Islamic republic; he approached Musa al-Sadr, the very prominent Iranian Shia leader who somehow reinvented Shia community in Lebanon, and after Islamic republic, is one of the main benefit (the) Syrian government got from its relation with Iran, is to portray itself as a part of Shia community. So Alawite is considered now a part of, or a branch of Shia. While there’s a huge difference between Twelver Shiism and an Alawite. So yes, Hezbollah in Lebanon and Iran Islamic Republic, they both portray Alawite – even in Turkey, not only in Syria – as Shia, though they’ve been considered a heretic branch of Shia. What’s Iran’s strategic interest in the region? Iran – I think – this is my understanding – Iran wants to threaten United States and Israel and confront them, but not on its own territory. Iran does its best to push the conflict away from Iranian territory and lead it to Iraq, Afghanistan, Lebanon and Palestinian territories. For this purpose, Syria is the main bridge Iran has to Lebanon, to use its leverage in Lebanon and also in Palestinian territories against Israel and United States. Losing Syria will make Iran look less frightening for the West. And this is against Islamic republic’s defined strategic interest. MR. NAWAZ: Thank you. Ambassador Toscano, and then we’ll come to the gentleman there. Q: Roberto Toscano, Wilson Center. I have a question for Mehdi Khalaji: How would you describe Ahmadinejad’s game plan? I imagine he has one; otherwise, he should be put in an insane asylum, given the level of the challenge. MR. KHALAJI: Who knows? He may end up there. Q: Maybe. (Laughter.) Soviet-style. Don’t you think that maybe the idea of combining nationalism, populism and anti-clericalism, which the three of them are very powerful, might give him some sort of crazy hope to prevail? MR. KHALAJI: Had it not been this green movement – and he had much more chance by using anti-clerical discourse. As Djavad said, Iranians are sick and tired of clerics. You know? If you ask Iranians – there is a joke in Iran that if you ask Iranians, what’s your TV set, they would say, it’s not a color TV, it’s a black-and-white TV because it always shows clerics, and they either have a black turban or white turban. (Laughter.) So they don’t want to see clerics. That’s the – the reason why Ayatollah Khamenei picked up Ahmadinejad for this job was exactly this, that he was so radical in terms of Islamic ideology but he was not a cleric. And the reason the speaker of Majlis is not a cleric is that it would make a better image for the parliament if you don’t have — if you look at the members of the parliament. So it’s too appealing for people. But the problem is that people who are sick and tired of clerics, they are (the same ?) about the Islamic Republic itself. First. Second is that what – for example, Ahmadinejad’s record on culture is not so great. All writers, artists, opinion makers, all are against him. It’s not enough to be anti-clerical. It’s not enough to be against Khamenei. You know, it’s not enough to even be against Islamic Republic. We have many oppositions outside Iran, who are oppositions, who are against the whole system, but they are not popular in Iran, like MEK. So it’s not enough to be against the Islamic Republic; you have to offer something more positive. And Ahmadinejad doesn’t have this, especially, you know, his superstitious beliefs, his — you know, the movie with – this DVD which was released which showed that they really believe that the return of his imam is imminent and he would come and Ahmadinejad is the head of army and so on. This is not appealing to the urban class. They don’t – look, what Islamic Republic did to Iranians was that Islamic Republic modernized Iran much more than shah did. Islamic Republic urbanized Iran much more than shah did. They are so urbanized that they don’t like Islamic Republic anymore. (Laughter.) You know? And I think that Ahmadinejad would have little – because he doesn’t have social power base, he has – he’s going to lose more and more his political power voice within the Revolutionary Guard, and, you know, he loses the support of Khamenei, and he would have little chance in next election. One thing was very interesting for me. Ahmadinejad is quoted to say to several people that had it not been the support of Ayatollah Khamenei, I would have had 35 million votes instead of 20 million votes. (Laughter.) So he really believes that he loses the ground because of Ayatollah Khamenei. It might be true, but he himself has – (little chance ?). MR.	: Can I address that as well? MS.SLAVIN (? ): Yeah, I also want to ask, if I may, the panel, how far does he go? Because every time, you know, they try to stop him from firing the intelligence minister, he fires another three ministers. He says he’s head of the Oil Ministry. He’s made the head of the Olympic Committee now caretaker oil minister. He does something crazy and outlandish every time they start to check him. Will there come a point where Khamenei will have to just say, that’s it, I’m sorry, and pull the plug? MR.	: Well, there’ve been reports about him being arrested, his chief of staff – (first name inaudible) – Mashaei, being arrested. I think some of the figures around him were arrested. Supposedly the supreme leader – and who knows if this is all true, but – he told the Revolutionary Guards to arrest those around him but don’t go after them right now. I think with Ahmadinejad, the problem is that he’s, A, delusional, to a large extent. He’s getting very poor advice. He has very little social base. The commander of the Basij, either yesterday or today, said that – (inaudible) – he didn’t say Ahmadinejad — doesn’t have a support base in Iran. I think Ahmadinejad thought he had the support of the Revolutionary Guards and the Basij, because he thinks of himself as a very charismatic figure. And I think he has vastly overstated, A, his popular support, and B, his support within the security force, especially the Revolutionary Guards. I think to a large extent the Revolutionary Guards are key to this. There was another report that the Revolutionary Guards went to Khamenei and said to him, let us just arrest all of them. And this isn’t beyond the realm of possibility. I think they’re after him and he has to be careful what kind of actions he takes, because if he doesn’t back down, they could really hurt him. The issue with Ahmadinejad is, he thinks of himself being on the media, being interviewed by CNN, his statements getting attention, as making him a consequential figure in Iran; and he’s not as consequential as he thinks he is. MR.	: Can I say something quickly? MR.	: I think he also has a very important card in his hand. This is the subsidy reform. He’s the guy who is implementing it. If you replace him, will it continue? And what would people think about the future of these payments? I think one of the reasons why he feels he has a strong hand is because he started something – it’s like he’s juggling a lot of balls; you push him out of the way, you know, the balls are going to fall to the ground. MR. NAWAZ: Djavad, you said that the trend line is towards bankruptcy and there won’t be any money left for the subsidies to continue. MR. NAWAZ: Well, when does he fit the wall? MR. SALEHI-ISFAHANI: Well, governments don’t go bankrupt, as you can see in Washington. (Laughter.) So they will print money. MR. NAWAZ: Okay. We have a question here. Q: Joseph Costa. I’m a research associate at the Belfer Center. So my question is regarding sanctions. I think there’s no lack of reports that say that sanctions – use general statements such as “sanctions are squeezing the regime.” I have had tremendous difficulty in finding actual quantifiable data. I know the administration says 50 (billion dollars) to $60 billion have been lost in investments in oil, in energy industry. So Mr. Salehi-Isfahani, I’m curious, A, what your assessment is on the impact of sanctions, if any, if we have any data showing this; and what indicators would you look at when making this assessment? MR. SALEHI-ISFAHANI: That’s a very good question. It’s a very difficult one. You know, the data I work with have very little on sanctions, which is household data. I’m looking at what the family spent. All I have really is kind of anecdotal information. This is talking to people who, as Barbara said, are handicapped in financial transaction globally. Even people who have OFAC, which is the permission to export to Iran, are finding it difficult to open (the LC ?) and move the money. There are people who built stuff that may be 90 percent Iranian domestically manufactured. There’s a small piece that has to come from abroad. And because it’s a small piece, the seller doesn’t want to bother to go check to see what he’s using it for. You know, it could be a little (cap ?) or some gauge. So he just doesn’t return the call, doesn’t sell. So large projects are stuck sometimes for days. The reason why we cannot really know what’s going on is because there are too many things going on at the same time. You know, the government has really terrible macroeconomic policies. They lowered interest rates a year ago, at a time when inflation was picking up. Now they have raised it again. But still it’s 4 percentage points behind – below inflation. So if you put your money in the bank, you lose at the rate of 4 percent a year. That’s terrible macro policy. And so banks are not able to get cash from people, who are buying gold and buying dollars and so on. You don’t know whether investment is low because of this policy, some other policies, or is it because of the sanctions. It’s just very hard, unless you had very firm, specific information about what firms were connected more to abroad and so on. I don’t have that kind of information. But I know that it is one of the factors people mention all the time. They mention credit, which are mentioned because the interest rates are kept low, and they mention sanctions and they mention the general climate of uncertainty. MS. SLAVIN: One indication, though, is the decreasing production of oil. Iranian oil production has gone down from something like 4.1 million barrels a day. I think it’s at 3.8 million now. Projections are it will go down to 3.3 million by 2015, which means there will be less to export. And one of the main reasons for this is the sanctions prevent Western companies – theoretically all companies – from investing in renovating Iran’s oil and gas infrastructure. Iran needs foreign – needs Western expertise to make liquefied natural gas, so – they’re not getting it, they can’t exploit their enormous reserves, the second-largest reserves of gas – natural gas in the world. They can’t exploit it. So, I mean, that is a concrete impact of sanctions that ripples through the whole economy. MR.	: They’re having a hard time selling their oil to – if you look at their – they’ve been having a lot of problems with the Indians. The Indians can’t figure out a way to pay Iran for its oil. MR.	: And so they’ve been going back and forth. And you can argue that this is a big distraction for the regime that it can’t even sell the oil. It has a hard time producing it and then selling. And I think that’s one big effect of sanctions. MS. SLAVIN: If some of the sanctions strategists in this town who are concocting new ways to squeeze Iran look at ways to basically impose an oil embargo on Iran, but slowly and gradually, in such a way that it won’t increase the pressure on oil prices – international oil prices – so they want to make it harder for Iran to sell the oil. They want to make it so that foreign companies can demand discounts when they do buy it, so Iran gets less money. Squeeze, squeeze, squeeze. So in effect you will have, you know, an embargo on Iranian oil exports at some point if these folks have their way. MR.	: Some Iranians are looking forward to that, by the way, because they think that the problem is the government has got too much money and the private sector doesn’t have enough. I think if the – it is yet that the difficulties with the oilfields affect revenues of the government. The government’s still getting a lot of money. But if that money goes down, you will see the balance of power – economic power – shift in favor of the private sector. And during the war, when they were really cut off and they had zero oil revenues, a lot of industries grew. A lot of industries grew because people had to find ways; they will import a piece, they reverse engineer it and start making it. You might see a lot of that stuff going in Iran if sanctions become tighter. And a lot of Iranians would say that’s not bad, you know, we need to have somebody impose – (inaudible) — on us so we make our own stuff and create employment. Employment is a key thing. It’s not revenue. It’s not government revenue. MR. EIZENSTAT: Your presentations have really been excellent, very incisive. With this internal turmoil that’s going on, is there any reason to think in the near term that this will translate into any change in the policies which are particularly important to the United States, either uranium enrichment, support for terrorism or the like, or are they simply willing to pay the price for these policies and maintain them regardless? MR. NADER: I think the danger is, if the regime feels insecure and there’s instability in Iran, it might actually accelerate the nuclear program, because if you look at the Iranian regime, it claims one of its achievements has been progress on the nuclear program. So this has become, I think, an important pillar of the regime’s legitimacy. This is how the regime perceives it, that the population cares very much about this program and wants to see it come to some sort of fruition. So I think there is that danger. If the Green Movement, let’s say, wins, I think they could potentially be more amenable to U.S. interests on the nuclear program, but I think any government in Iran will not give up on uranium enrichment. Even if there’s a secular democratic government in Iran, it’s not necessarily going to let go of the nuclear program, because of the reasons Iran is pursuing it, regime survival being number one, but also defending the homeland against foreign invasion, and a feeling that Iran deserves this right. So I think – RAND actually did a survey, I did a survey recently on the Iranian nuclear program, and I believe 97 percent of the respondents said that this is Iran’s national right. And 43 percent actually said that Iran should weaponize its nuclear program. So there is some popular support for actually creating nuclear weapons. So I think this concept that if we just overthrow the regime, the nuclear program will be solved, is a little simplistic. MR. EIZENSTAT: — do the panelists think that the regime’s – as a follow-up, do the panelists think that the regime’s endgame on the nuclear program is weaponization, just short of weaponization, having a nuclear capability and declaring it, or going all the way to weaponization? MS. SLAVIN: Well, my belief is that the Iranians will not go all the way to weaponization unless they’re attacked, in which case they will throw out the IAEA and move toward weapons. But barring that, I don’t see the percentage. They can continue to build up stockpiles of low-enriched uranium or slightly more-enriched uranium, work on other – on their missiles, other aspects, and be ready to make that choice if and when they want to. But I don’t think they have and I don’t think they will yet. MR.	: One option that – the IAEA just produced a report saying that Iran is looking at, I think, seven different ways to create a nuclear warhead, to weaponize. So they’re doing their research and they’re building the infrastructure and the know-how so if they need nuclear weapons, then they can go that route. I don’t think the leadership necessarily believe – that made this decision – that it needs nuclear weapons right now, because the costs associated with having actual weapons are very high. And the Chinese have been supporting Iran under the cover of this is a peaceful nuclear program. So if they develop nuclear weapons, they could potentially lose their biggest international partner. MR. SALEHI-ISFAHANI: I might say something with respect to the first question Ambassador Eizenstat asked about the relationship between turmoil inside Iran and what will happen in terms of benefits or yields for U.S. foreign policy. I think something people ignore is that Iranians are also trying to solve their problems. They’re not sitting there, Iranian leaders, just trying to piss off the United States. They have serious problems they’re trying to deal with. To the extent that in dealing with their problems they are successful, they’re going to go in that direction. The subsidy reform hasn’t failed – so far it hasn’t failed, but it may. And if it fails, I predict that Ahmadinejad will go back to being who he was, which is – (inaudible). But since he started on this program, he’s become an economic reformer. He’s getting to like being a modernist president. If the avenues for domestic reform are closed, meaning that whatever they do, things get worse – well, okay, regime change happens, United States may be happy, but it’s quite likely in the interim that the leaders will go back to the rhetoric – to the hostile rhetoric, which does seem to yield benefits, both in region and within Iran. Personally, I would like the former. I would like Iranian leaders to become so good at solving their domestic problems they will just do that. Q: Ian Brzezinski from the Atlantic Council. I just want to follow up on some of the points that were made about the impact of sanctions. And what have been the impact of sanctions on public perceptions in Iran, Iranian public perceptions of their government, of the outside world, particularly the West? How have the sanctions played in the last elections? How are they likely to play as an issue in the upcoming elections? And are these sanctions helping us develop constituencies of common interest in that country or otherwise? But if you want to have an idea about, for example, what’s the impact of sanctions on political dissidents or political – you know, the current Green opposition, you may go to the statements made by the leaders of the Green Movement. For example, Mousavi in his televised debate with Ahmadinejad and also in his later statements highly criticized Ahmadinejad for his nuclear policy, which had shown its consequences in these U.N. sanctions resolutions. So what is interesting for me is that if you look at Mousavi’s statements throughout last two years, he never asked the government for doing any referendum on any issue. He could have asked for, you know, referendum, for election procedure, for – I don’t know, there are many issues which generated the tension between Mousavi and the government. He never asked referendum for anything in domestic policy, but once he asked referendum on nuclear policy. And he said that nuclear policy is wrong and the decisions on this crucial issue should not be made by a few people behind closed doors. So it shows that not only many people in Iran, but also many political elite who – you know, officially still Mousavi is a part of government. He’s a member of the Expediency Council. And many other people, like (Nateq Nouri ? ), are – they are critical of Ahmadinejad. They are not happy with the direction that the nuclear policy takes. So I don’t think that if you ask Iranians – the majority of Iranians who are, for example, in this Green Movement – I don’t talk about all Iranians. The Iranian society is so, you know, pluralistic. One of the problems – Shuja asked why what happened in Egypt did not happen in Iran. One of the – there are many explanations. One of the explanations for me is that – look at the beneficiaries of Islamic Republic. They are not comparable to the beneficiaries of Mubarak regime, you know. I don’t know how many people were beneficiaries of Mubarak or Ben Ali. Few thousand people. But millions of people are beneficiaries of Islamic Republic. How many people work in Basij? How many people work in Revolutionary Guard and all companies which are related to Revolutionary Guard? Look at clergy. Clergy, Iran, the Shia clergy now is the richest clergy in the history of Shiism. So these are beneficiaries of the Islamic Republic. But if you look at the Green Movement — which is, you know, you can say at least a great deal of – a great part of Iranian society, they are advocating its ideas — they don’t like weaponization, weaponization of nuclear program, (neither the current ?) nuclear policy. And they blame – this is what Mousavi said. Mousavi told Mr. Ahmadinejad that – in his televised debate – that the direction you are taking in your nuclear policy would take the country to the Hell. And he said that there are some elements in the Revolutionary Guard that they tried to design the nuclear policy in a way that provoked Israel and United States to attack us; they are warmongers. This is what Mousavi says. And if this is what Mousavi says, I don’t think that, you know, 90 percent of Iranian people would love Ahmadinejad’s nuclear plan. MR.	: Can I address that really quickly? I agree there’s no scientific way to prove anything, really, said here. I think in terms of sanctions, it’s even more difficult to measure their effects on the Iranian population or the regime. But I think one thing we could do is look at their effects on various constituents in Iran. So if you look at Rafsanjani and his supporters, they may not like the nuclear program because it disrupts their social, political and economic agenda for Iran’s globalization, privatization. The nuclear program doesn’t help that. The same with the reformers. But if you look at the regime as it stands today, Ayatollah Khamenei and the Revolutionary Guards, the nuclear program is beneficial for them. Iran’s increasing isolation is beneficial for them to some extent. And I think they’re willing to weather the costs of having some sort of nuclear capability because I think the end result is important for them. They’ve gone through the Iran-Iraq war. The regime has always been in a state of crisis, under internal and external pressure, so why not have this option that may come handy in the future? I would argue that it doesn’t benefit all segments of the Iranian population, that the Iran population is subject to a lot of propaganda from the state on the nuclear program. They don’t have access to independent sources of information. But in terms of sanctions, I would argue, because of these anecdotal evidence we’ve discussed, that yes, there is damage to the economy, but not great damage to the regime, not great damage to Ayatollah Khamenei, necessarily. I’m afraid we’ve reached the end of our time that we allotted, and I’m very grateful to all of you that you came. I know that there are still a number of questions that need to be asked, and I’m sure that our panelists, as they – as we disband this particular session, would be happy to take your questions individually. But I would like to take this time now to thank, on behalf of the Atlantic Council and on behalf of our co-chairs, Ambassador Eizenstat and Senator Chuck Hagel, and our president, Fred Kempe, want to thank the audience and our panelists and our own Barbara Slavin. So thank you all very much.